The special services in 2015 have prevented around 100 people from leaving the country to join militant groups. Around 3,000 people who have been lured by ISIS ideology are under the FSB’s watch, with criminal cases having been launched against 900 of them. Every Russian fighting with the Islamic State (ISIS) terrorist outfit is being closely monitored by the country’s special services, the Russian Interior Ministry and the Federal Security Service (FSB) informed Valery Rashkin, State Duma member, in response to his query. The reply said the FSB was monitoring 3,000 people and that criminal cases had been opened against nearly 900 people. These include not only Russian nationals who have returned from Syria and Iraq but also those who continue to fight in the ranks of the banned organization. However, many believe that despite the work of the special FSB directorate, the measures being taken against the ISIS sympathisers are not enough. “I believe that exhaustive measures to combat terrorism have not yet been taken, which is why terrorists continue to pursue their evil, black deeds,” Rashkin told the Kommersant-FM radio station. Sergei Oznobishchev, head of the Institute of Strategic Assessments, said that to fight terrorists in Russia, it was necessary to adjust existing legislation, adding that each militant’s case should be considered separately. Some Russians who have returned after fighting with the ISIS terrorists may present no threat to the country’s security, said Grigory Kosach, professor at the department of Contemporary Oriental Studies at the Russian State University for the Humanities. However, tough measures were needed to prevent further recruitment by ISIS, he added. “People may have returned, having grown disappointed in a certain ideal that they may have had as regards Islamic State, and these people are most likely harmless. On the other hand, a large group of people who have returned from the territories controlled by Islamic State have of course been subjected to certain ideas,” said Kosach. “If the special services have the relevant information, then of course it is necessary to take the most radical measures. These people may recruit new supporters, some of them have been especially tasked with recruitment,” he explained. 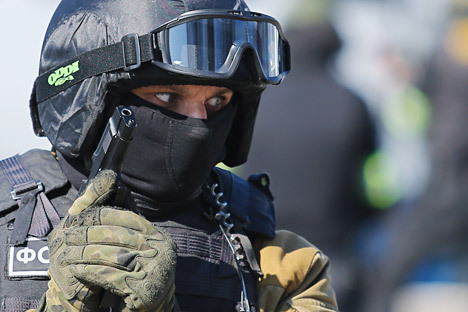 FSB director Alexander Bortnikov said the special services in 2015 have prevented around 100 people from leaving the country to join militant groups.